The JD Chisel Point is a penetrating tool to dislodge heavy blockages of any kind; mineral deposits, ice, mud, sand, grease, opening of roots, etc. The forward jets cut into the soft materials while the sharp chisel edges will ram kinetic energy into the blockages. 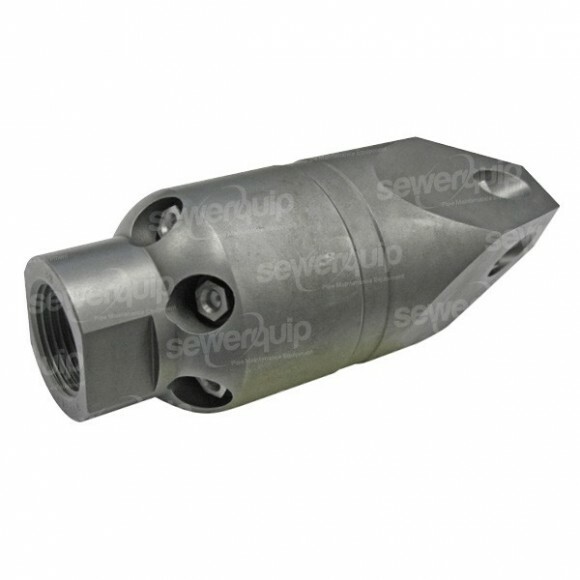 These nozzles are fitted with long life ceramic jets. Made in Germany from stainless steel.